Purchasing a MacBook is a dream for many. Realizing the fullest potential of one of the best portable devices is another story. It is the conventions of apps that help one make the optimum use of the gadget. There is no dearth of useful & entertaining apps for Mac. Best Mac apps: 20 must have apps for Macbook surveyed scores of MacBook users to understand the usage of Apps, free as well as paid that could alter the way one uses Mac. Ranging from music & entertainment to enhancing productivity, communication & more, the crux of the study is presented in the form of a list of 20 must have apps for MacBook. 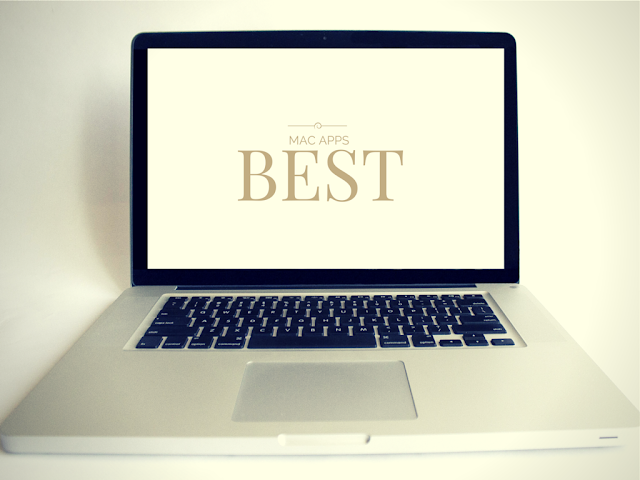 So, add a bit of a soul to your Mac by installing these must have Apps. Take your love for music to another level with the Spotify app. Spotify has been providing streaming music services since its inception. Classical or rock, whatever your type is, is available on this app. Choose from the vast list and tune in to your favorites anytime anywhere. What more do you need than a media player that plays video and audio files in any format? It is the best ever media player in the market that is fast and smooth. This impressive player is always ready to serve your music palate with finest tunes & melodies. Busy schedules and even busier brains! Remembering everything all the time is not everyone’s cup of tea until and unless you have a manager known as Evernote. This must have app does everything for you- write notes, checklist and remembers things on your behalf. In a nutshell, it organizes your schedule & makes sure you manage your time better. This fantastic app is fun to use. Go on to add your event by writing a short description with a single click and swiftly return to the task you were doing previously. Moreover, it is simple to edit and delete without much fuss. The best thing is that it works with Mac calendar service that makes your job even easier. You can download 21 days free trial before purchasing it. Untangle your daily routine with this stylish app. Whether you are planning a weekend party’s menu or preparing the grocery list, just update it with the Wunderlist and it will remind you. Like a good manager it informs you on the completion of any task. This wonderful app syncs with all your devices thus upgrading the convenience. Remind, record and notify- it does it all diligently. What Microsoft office is to windows iWork is to MacBook. For businessmen, this is a befitting app - Pages, words, keynote, presentation and spreadsheet. The app with its chic feel, clear interface and cloud syncing facility is definitely making you love it. And yes, now u can say “I Work” with a broad smile. Imagine writing your heart out till you are done without any disturbances, without anything to distract you. It deletes the option of any formatting or menu bars allowing you to concentrate on writing. It sharpens your writing skills with the syntax features and comes with auto markdown support, importing word docs. Well, this uncomplicated word processor lets you do what you want to, write! Share and synchronize our files easily with Dropbox. The ‘drag and drop’ option allows you to store your important files, photos, music, and videos and share them all with your folks whenever you want to. It is simple, straightforward and comes with 2GB of free space. Like name like work! The app induces your Mac with energy whenever it is about to go to sleep while an important file is being downloaded. This humble app lives in your menu bar and makes sure that the job has been done before the Mac is turned off manually. You must have come across the app for unzipping the files where you had limited choice with the format. Not anymore. With unarchiver, now unzip files with almost any format; find your file with foreign characters in the finder easily. What else? It’s free and very handy to use. This is a very efficient and widely loved cleaner that you can use for your Mac. Delete the unwanted files, clear up the trash and free up the space for the next big thing. This tops the list when it comes to the time-saving app. You like writing, but it’s quite boring to keep writing same phrases or make same typo errors when you can define the keyboard shortcuts, isn’t it? Using this tool wisely grants you lot of free time. Let me call it as a comfortable app because of its quick ability to allow you to access websites, online searches, application, files, contacts, etc at just a click. It learns from your behavior and arranges the apps in that order. Manage your personal finance with the help of iBank. Handle your portfolio, transactions, bank account, spending and the online payment with this simple yet effective app. Quite a dependable app it is. In case you have been a fan of adobe Photoshop then you are going to love this Pixelmator app thoroughly. This image editor allows you to re-touch your original picture, fill colours, filter and add the amazing effects. One of the interesting features is that you can carry forward your work from Mac to iPad without any worries of it getting lost. The first thing you notice about this instant messaging app is that it has one of the cutest icons (a little duck) and while its’ cute, it supports number of services like ICQ, Yahoo, Gtalk, Jabber etc. It is highly customized and translated into a number of languages. What more? It can be integrated with your favourite twitter too. It is the most trusted BitTorrent clients. Sublime and lightless it has improved a lot since its inception. You can set priority levels, stall limit times, control the bandwidth quantity and filter by groups. Finally an app to save you from all the apps! Save yourself from all the things –websites, emails, and internet and make good use of your time with the help of this strict supervisor. All you need to do is set timer and blacklist the sites and until the timer last you have no option but to concentrate on your work. Quicksilver is a great tool for those who want to improve their productivity. This simple yet so effective tool will enable you to launch apps quickly, open files easily and search content thoroughly. Quicksilver’s launcher pad will allow you to locate whatever you want and the search results will be shown much quicker than your expectation. This tool can also be used to manage iTunes, find dictionaries, and send emails and various other similar activities. Mailbox has been redesigned by Dropbox to make emails faster and lighter so users can easily scan conversations and move messages to trash or archive. You can now get a completely new and even better inbox for your MacBook. Mailbox enables you to deal with your mails more professionally as you don’t need to get stuck to them if you have other important things to do right now. Mailbox auto-swipe feature allows you to come back to your message later. Everyone who uses internet has various accounts and for each account, he has to set a unique password and sometimes, it becomes quite difficult to remember each password. However, if you are using 1Password, it will allow you to save all your unique passwords at a single place. In addition to this, you will also be able to create a maser password which can be used at multiple accounts and the best thing about it is that all your passwords will be provided maximum security. If you have to do a lot of work with your videos to convert them into playable files for different devices, you would love to discover Handbrake which is an amazing tool to convert any format videos into widely supported modern codes. There are various options to work with this simple tool but the best thing about it is that anyone who wants to covert videos can easily use it without getting into complex functionalities. Clear is a simple yet so effective app for those who have busy schedule. If you have to use to-do-list app on regular basis, this can be the best option for you. Clear enables you to rearrange your everyday activities as per the level of their importance. It simple design allows you to get things done every more effectively. CrashPlan is a wonderful app to select and back up your important files to local area network or a local drive. You can also use cloud services to secure your data at a safer place. The app has made computer backup absolutely easier and you don’t have to worry about your data security anymore. This article is contributed by Sawaram Suthar and Elizabeth Olsen. Elizabeth Olsen is a Digital Marketing Developer at Most Secure VPN which are based on online security Issues. She loves to read and write about different tech and trends, and also produced review like ExpressVPN Review. Get connected with Most Secure VPN today and stay updated.